Stephen Goodman is Chief Relationship Officer at Arjuna Solutions. Stephen works on sales, marketing and branding for Arjuna Solutions, and works directly with For Profit and Not for Profit clients. With Persanalytix®, Arjuna Solutions’ signature tool, Goodman has been able to merge some of his greatest passions, marketing and fundraising, by showing his partners the “Power of Personality” and how to use data to make results-driven decisions. Prior to Arjuna Solutions, Stephen ran business development for the NFL Players Association for 13 years. Goodman worked directly with NFL sponsors such as Pepsi, Visa, Gatorade, Nike and Proctor and Gamble on initiatives that involved all NFL Player usage and marketing of their sponsorship assets. He also developed promotional programs and marketing campaigns to support the NFLPA and its missions. Goodman is also on the Board of Directors for DC Scores and on the advisory board or event host committee for several other DC based organizations. 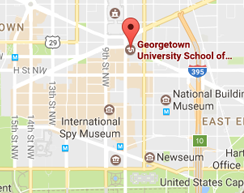 In addition, Goodman is an Adjunct Professor at Georgetown University. Goodman has a B.A. in Communications from East Carolina University and accreditation's from the American Management Association. Goodman spends his spare time with his wife, Michelle, and their two boys, ages 7 and 9, in addition to rooting for the Washington Redskins.